UcD 180 The name says it all: A 180Wrms amplifier-module based on UCD-technology. 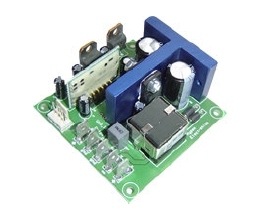 The module is small (65x65x32mm), lightweight and will fit into all of your applications. The module can be remotely switched ON and OFF. This module is a real state-of-the-art piece of machinery and is available now! The DS1.2 is the first in a new range of Class D amplifier modules. The state-of-the-art UcD design ensures a very low output impedance resulting in an even better control of your subwoofer. Don't let the size of this module fool you: it produces 120 Watts into 4 Ohms and stays cold while driving your subwoofer crazy. 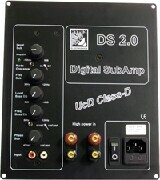 The DS2.0 is the second in a new range of Class D amplifier modules. The state-of-the-art UcD design ensures a very low output impedance resulting in an even better control of your subwoofer. The DS2.0 has stereo inputs (both high level and line level). 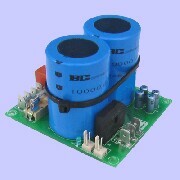 The subwoofer crossover can be defeated in case this filtering is present in the pre-amp. 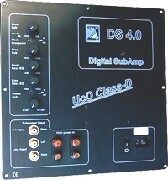 The DS4.0 is the second in a new range of Class D amplifier modules. The state-of-the-art UcD design ensures a very low output impedance resulting in an even better control of your subwoofer. The DS4.0 has stereo inputs (both high level and line level) and one mono LFE input. 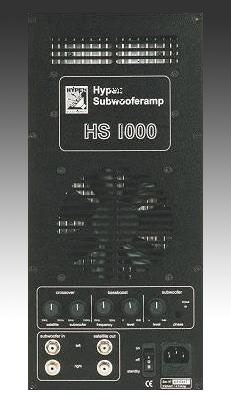 The subwoofer crossover can be defeated in case this filtering is present in the pre-amp.